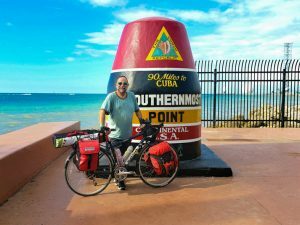 Cycling the Florida Keys is high on the bucket list of many bicycle tourists, especially those from the colder, northern states. What could be better than cycling 100 miles surrounded by clear blue seas through tropical landscapes cooled by ocean breezes! 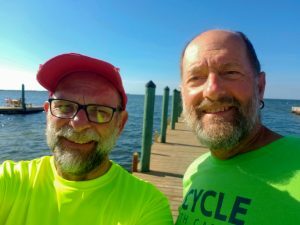 My cycling pal Greg and I each planned a bicycle tour to cycle together in 2018. 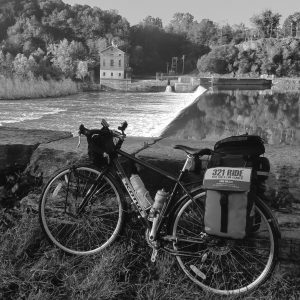 Mine was a 3-day tour on the Ohio to Erie Trail from Cincinnati to my home in Mount Vernon. 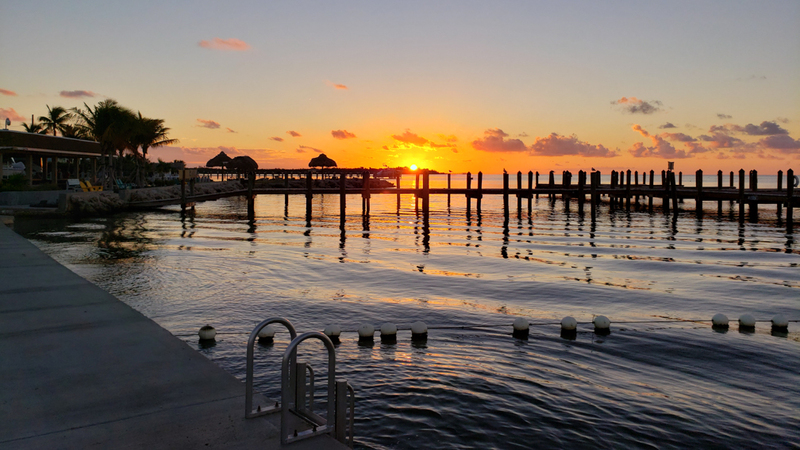 Greg knew that the Florida Keys was on my bucket list and invited me to join him on a roundtrip tour through the Florida Keys. 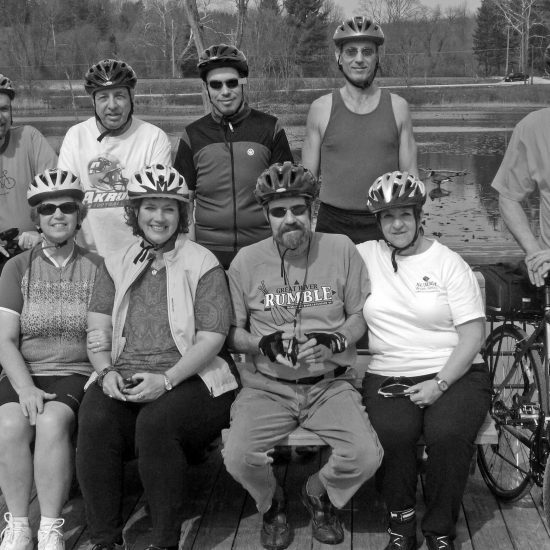 This past week we completed our Bike4Diabetes Pedaling the Archipelago to Stop Diabetes adventure. Greg is a tireless advocate for the American Diabetes Association. Our roundtrip bicycle tour from Key Largo to Key West was part of his fundraising and awareness campaign for the year. 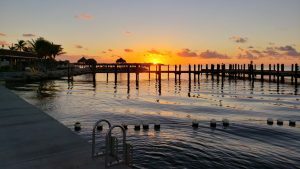 Here is my perspective on cycling the Florida Keys from my experiences during our five days on the bike in the Florida Keys. The Overseas Highway, US-1, is the sole route through the Florida Keys. Google the Overseas Highway and you will find a few variations of the Overseas Highway. 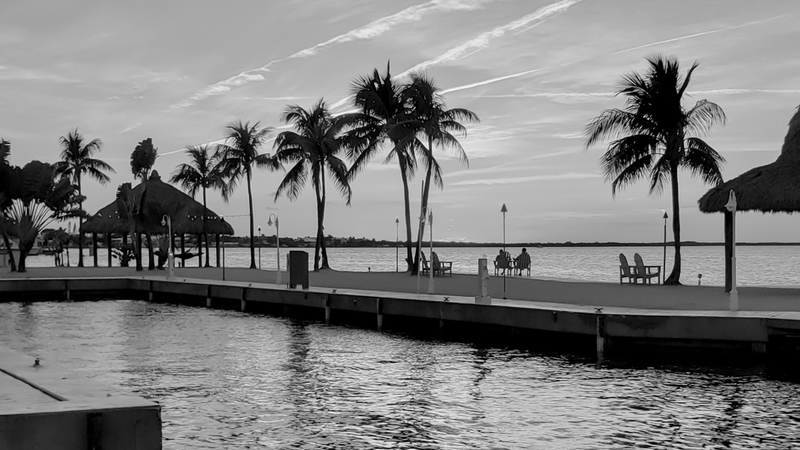 Most set the northern point as Florida City or Key Largo. US-1 heads southwest crossing numerous islands (keys) before it reaches Key West. Greg and I began our tour near the northern end of Key Largo just south of mile marker 104. Mile markers are important landmarks on this route. Mile marker 0 marks the highway start in Key West. The Florida Keys northern end is at mile marker 107 on the top of Key Largo. The Overseas Highway ends at mile marker 127 at Florida City. The state of Florida began to develop SR-4A to connect Miami to the Florida Keys in the early 1920s. In the following decades, this route added miles with some large sections via ferry. The Florida East Coast Railway was operating to Key West as early as 1912. Hurricane damage and financial strain from the Great Depression in 1938 put the Florida Keys rail route out of operation. The state of Florida assumed ownership of the abandoned rail line and connected the disconnected sections of SR-4A via the railbed and rail bridges. Time passed and traffic increased. New wider highway sections and modern bridges were added abandoning older, narrower portions of the former Florida East Coast Railway. This is what we know today as US-1, the Overseas Highway. The Florida Keys Overseas Heritage Trail follows much of the abandoned railbed and crosses many of rail bridges repurposed as part of the rail trail route. The home page of this trail on the Florida State Parks website contains this welcome message. I find it to be misleading. This is a rail-trail in development. There are portions that follow the railway path and use these bridges. There are many sections that share the road on marked bike lanes that are largely road berms marked as a bicycle lane. Most of the bridges (somewhere around 40) are crossed on a wider berm marked as a bike lane. The 7-mile bridge is the most notable of these bridges. 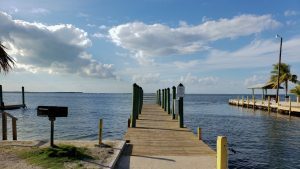 There are many factors that make following the Florida Keys Overseas Heritage Trail difficult. I am highlighting the main pains we experienced during our tour. Poor wayfinding – Directional signage on this trail is near to non-existent. There were no signs to designate the path of the Florida Keys Overseas Heritage Trail. We often found ourselves on US-1 and seeing the trail reappear without notice on the opposite side of the highway. Poor trail conditions – Hurricane Irma and other tropical storms damaged sections of this trail. These sections were generally barricaded and closed. Other sections were not. It was challenging cycling poor trail sections. We found it faster to cycle the bike lane marked highway berm. Dead ends – The trail uses many railway bridges that gave us spectacular views. Unfortunately, many bridges have been converted into fishing piers where a portion of the bridge was removed to allow ocean traffic. There were no signs denoting them as a dead-end for through cyclists. Directional wayfinding – We probably cycled twice as much of the trail and quiet streets on our northbound return trip as we did southbound largely due to poor wayfinding. We enjoyed a 16-mile stretch out of Key West and another long stretch from Islamorada through Key Largo. We saw no southbound markings for these segments. The Overseas Highway connects more than 100 islands (keys) with 42 bridges over its 126-mile distance. 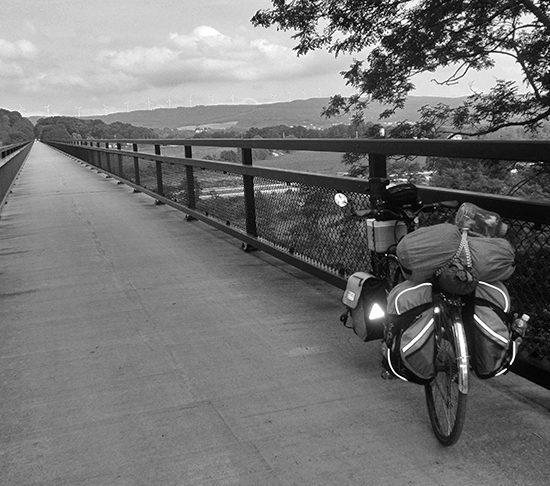 I found most of the bridges we crossed the highlight of my cycling days. They were often busy but had wider berms. As I mentioned earlier, a few of the original railroad bridges are repurposed a dedicated pedestrian and cycling routes. Cycling the 7-mile bridge was amazing! It was busy, and the high center section looked ominous from the distance. I found that these high sections were much easier to cycle than I anticipated and a nice challenge for the day. The most disturbing part of these crossings was the traffic, particularly semis, large RVs, and tourist buses. Wind, I will talk about wind later. It was bad on bridges. This is not a bicycle tour for you if you are nervous in traffic, particularly heavy fast-moving traffic. US-1 is a 2-lane highway most of its distance with occasional passing lanes and 4-lane sections on the larger keys. The State of Florida does a nice job of providing marked bike lanes and berms and share the road signs. Traffic was heavier earlier in the day and on the weekend. 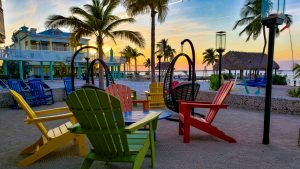 It is also heavier in the larger tourist and populated areas of Key Largo, Islamorada, Marathon, and Key West. My advice to the bicycle tourist is to concentrate on the road ahead and be aware of possible hazards. This is especially true since the route involves cycling the highway berm that has glass and other highway debris hazards. Be prepared to feel the wind as trucks, RVs and busses create a good wind as they pass. They shook my bike. I must say that I never encountered an impolite motorist on this ride. Most people gave us wide berth as they passed. The roughly 100-mile tour breaks easily into 2 50-mile days. Day one starts in Key Largo and ends in Marathon. Day two begins in Marathon and ends in Key West. Each of these cities has ample hotels and camping options. Greg and I opted to camp in larger campgrounds that had electric. These campgrounds had many amenities including pools, beaches, and laundry. The price reflected the amenities. The primitive camper will find many options with state parks sprinkled through the route. Key West and Key Largo are tourist destinations. Many of the other keys are likewise quite worth a visit. Spend time on the bike but don’t hesitate to take a day or two off the bike to enjoy the Keys. Key West is worth a minimum of 2 days. Key West is also very bike friendly and easier to experience on a bike than a car. 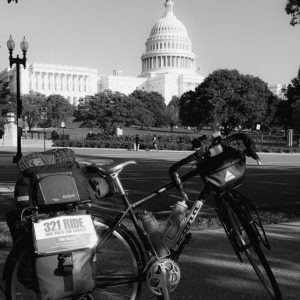 Greg and I both know that bicycle touring is not about the miles but about the people, places, and experiences. This past week was no exception. I met so many interesting people on the bike. I visited places I most likely would have never seen on a commercial tour. People are fascinated when you cycle up with a fully loaded bike. Interesting conversation ensues. Fantasy Fest in Key West was eye-opening and fun. I had a couple reservations going into this ride. I was not thrilled cycling 100 miles on the only major highway through the Florida Keys. I did not relish the thought of crossing many multi-mile bridges with steep grades. Both concerns disappeared on the bike. I quickly adapted to the road and surroundings. I found myself celebrating the climb as I enjoyed the downhill on the downside of the bridge peak. Wind. I knew there would be wind. There is always wind when you cycle along large open spaces. This ride had more than its share of headwind. Day 1 was a dream with no wind. Day 2 into Key West was largely into a headwind. Our return days were a battle with headwinds as a cold front blanketed the Keys from the north. Just as I adapted to the road and bridges, I adapted to the wind. Our minds played an interesting game with the wind. We were certain we were cycling uphill as we battled the wind. It seemed logical that the resistance we felt in our pedaling was due to a change in elevation. My Garmin told a different story. I do not know if I would cycle the Florida Keys again. I put this tour near the top of one of my most enjoyable bike tours. It had many of the attributes I enjoy the most. The scenery was amazing. I met so many interesting people and had a lot of fun. 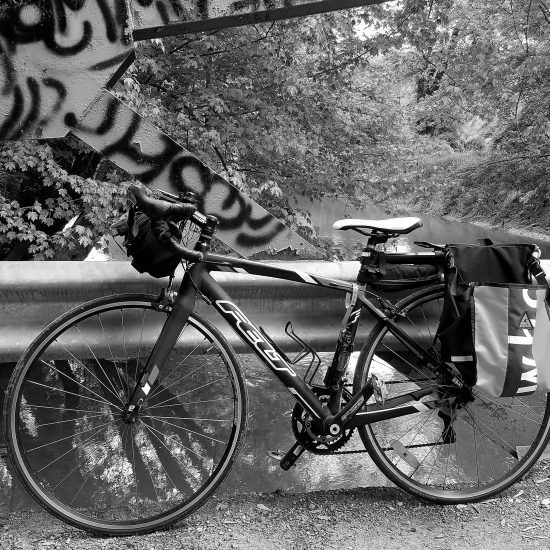 I was fortunate to cycle with Greg whose company and conversation made the trip enjoyable. There were challenges that made the days more memorable. I say to those considering this tour to get on the bike and give it a go! Ah yes! Another bucket list item checked off. The good times do keep on rollin along!